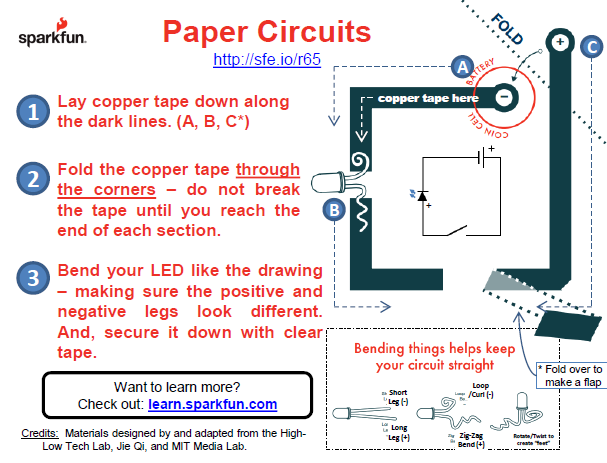 Have students build a simple circuit with copper tape, a coin cell battery, and an LED. This template can be extended to any number of other activities involving Paper Engineering with pop-ups or any other craft / art activity. Check out the works of Robert Sabuda or Carol Barton for other ideas around making pop-ups.